With more than 700,000 views and several hundred comments, a fight video posted on YouTube caught the New York City Police Department’s attention and has resulted in the arrest of four individuals. 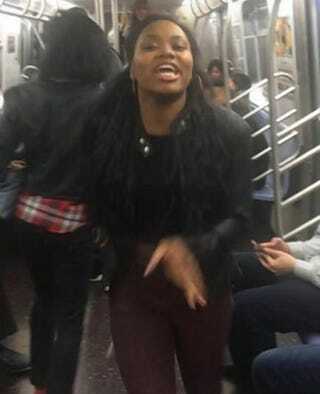 Danay Howard, 21, is accused of being the instigator in a fight that took place on New York City’s F train Saturday morning. Howard was filmed taunting Jorge Pena, 25, about his clothing and even lunged after the cameraman twice, knocking his phone out of his hand. Pena, who seemed to take the taunting in stride, eventually delivered a slap across Howard’s face, authorities charge, which caused a fight to break out on the train. According to the New York Daily News, both Howard and Pena were arrested shortly after the fight, along with Kevin Gil, 21, and Shanique Campbell, 20, who are accused of coming to Howard’s aid after she got slapped. Pena, Gil and Campbell were charged with misdemeanor assault and disorderly conduct, police said. Howard was slapped with a felony assault charge for allegedly using her shoe as a weapon in the attack.